Kreamy Ranch Sauce, Grilled Chicken, Bacon, Karamelized Onion, Kettle Cooked Chips. Kreamy ranch sauce, taco beef or grilled chicken, mozzarella, Cheddar, lettuce, tomato, jalapenos, black olives, taco sauce, tortilla strips. 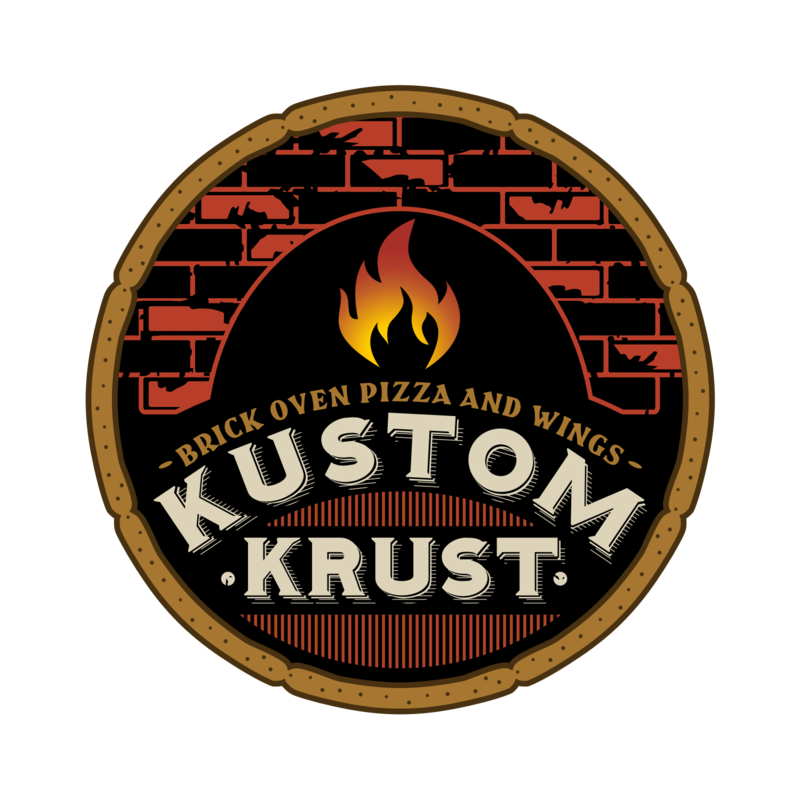 Kustom Krust has gluten-free / keto friendly crust! !